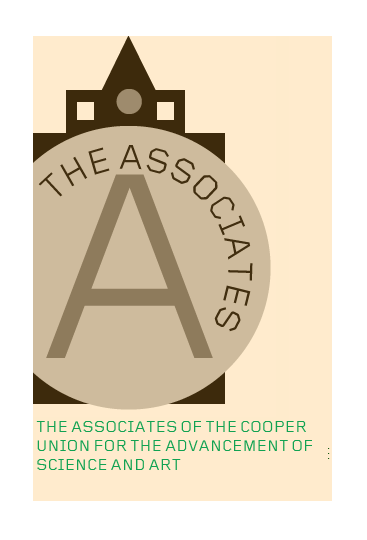 Who are the Associates of Cooper Union? The Trustees have deferred the organization of this society only because it was deemed advisable first to establish and put in operation all the departments of instruction before undertaking the serious duty of prescribing the terms and conditions of membership, and the fixing the rules for the primary government of the society. They have, however, decided to open the doors as widely as possible for membership, and hope to see in it an influential and respectable organization, representing all classes and interests in the community. They have therefore determined to invite as the original ” associates ” the members of over twenty- one years of age of the following societies, thus endeavoring to realize practically the idea of Mr. Cooper embodied in the name of “Union” given to the institution. The Society of Mechanics and Tradesmen, the Chamber of Commerce, the Historical Society, the American Geographical and Statistical Society, the Society Library, Mercantile Library and Clinton Hall Association, the alumni associates, trustees, and professors of Columbia College, the New York University, and the Free Academy; the American Institute, the Mechanics’ Institute, the Horticultural Society, the American Institute of Architects, the Photographic Society, the National Academy of Design, the Century, the Atheneum, the Lyceum of Natural History, the Law Institute, the Academy of Medicine, the Sanitary Association, the clergy of New York, and the Teachers in the Public Schools, and such other persons as may, to the Trustees, appear to be desirable members. When the results accomplished by the Society of Arts in London (an association corresponding nearly with the proposed society) are considered, the Trustees do not entertain a doubt that their invitations will be generally responded to, and that thus many thousands of our influential citizens will be brought into direct union and cooperation with them in executing the grand design of the institution “ the elevation and improvement of the working classes of this city and country. Posted in Cooper Union, education, Peter Cooper and tagged Associates of Cooper Union, education, Peter Cooper.